So, Jean, who invited me on the Quilt Shop Hop Bus introduced herself as a “Beginner Quilter” in that she begins all her quilts. This was a minor consolation when I was organizing my fabric space and discovered my Sewing Works in Progress was overflowing a 14 gallon tote. So much to do…. Just need to find the time. Its actually a bit more organized then it first appears. So in an effort to finish some of the things… I forged ahead and finally finished making them into pillows. Three pillows… all finished from my stash! pillows from the back side. The sunflower pillow I had actually bought material specifically for finishing. (Though I bought way more, because at the time it made perfect sense that I would make several sort of matching pillows and want to finish them the same.) The other two, I completed with stash fabric I’d originally bought for other uses. 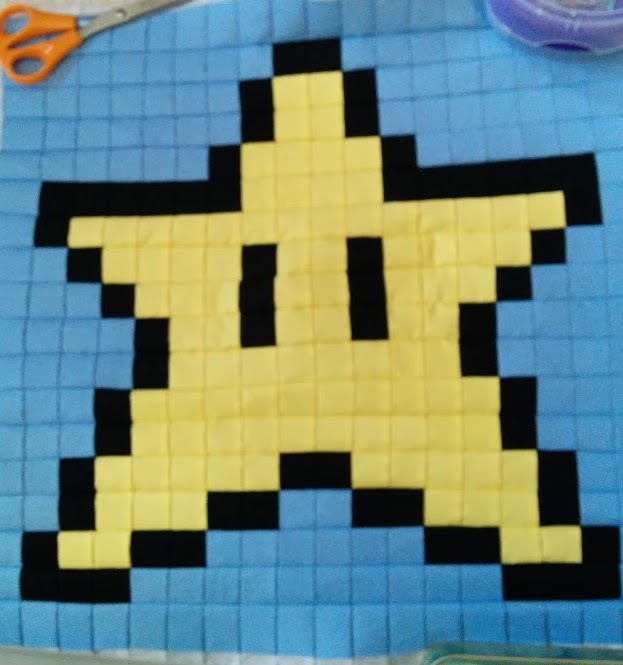 As I mentioned at the End of May in my last Super Mario Quilt-A-Long update, I am looking to do more than just 12 blocks in my quilt. 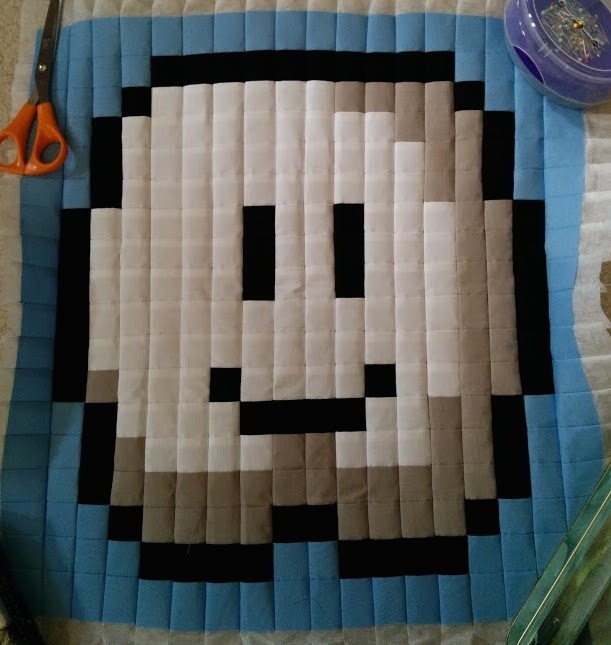 Mario’s princess will be in this castle quilt. So I’m doubling up the next couple months to be sure I get all my blocks done for year end finishing. This time I tackled two from the sky. This cloud is so happy, you’d think Bob Ross painted it. Future blocks include, Peach, Green Mushroom, Coin, Fire Flower, and a few more! I am aiming now for a 16 (4×4) block quilt.